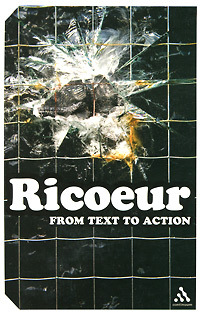 From Text to Action provides an invaluable companion to Ricoeur's classic text, The Conflict of Interpretations. Here he further develops his general theory of interpretation in relation to his own philosophical background and influences: Hegel, Husserl, Gadamer and Weber. This is a hugely important work from a key figure in contemporary philosophy that will be of interest to those starting out in the field of hermeneutics, as well as those already familiar with Ricoeur's work.